I am happy to say women have entered the world of boxing with a great deal of passion and enthusiasm. The process started with women mainly looking for a harder spin on traditional aerobics training and evolved into popular amateur and professional fight circuits featuring female athletes. 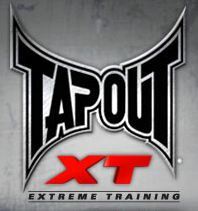 This further raised the popularity of women's boxing and leads to more and more women becoming involved with the sport. Of course, in order to take part in such exercise programs it becomes necessary to look towards procuring the proper equipment needed to train safely, efficiently, and effectively. In a nutshell, this means the participants will need to select the proper womens boxing gloves in order to be successful at the sport. Is there much of a difference between womens boxing gloves and men's? I think so. In terms of the purpose, the answer is "no." The gloves are designed to protect the hand from injury when striking as well as to make sparring a lot safer and less dangerous. The main differences between womens boxing gloves and men's boxing gloves deal with the alignment of the bones in the hands and the obvious weight and skeletal differences between male and female fighters. Some may wonder if women can wear boxing gloves that were originally designed for men. The answer is "yes" because there really is no such thing as "men's" boxing gloves. There are simple standard boxing gloves designed for a certain weight class. In the early days of the 1990s, when women first started to pick up on boxing as a fitness hobby, there were no women's gloves. Considering how popular womens boxing has become, it is pretty obvious that using traditional boxing gloves did not seem to dissuade women from taking up their newfound hobby. However, it is still advised that women look into specially designed womens boxing gloves since these will prove more comfortable in issues of performance. 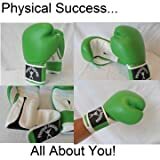 Weight is a major factor in the type of boxing glove you select. If the glove is too light, then it is dangerous to spar with your opponent. If it is too heavy, your arms will fatigue as the impact on your endurance will become significant. But, while weight is a major factor in selecting gloves, this is not specific to women. Men will have the same concerns as well. This does raise questions regarding what is the specific glove weight one should employ when selecting the right gloves. Basically, the selection of glove weight will be based on the weight of the woman selecting the gloves. In general, the two weights that women will select for their gloves will be 10oz and 12oz. Some may require 14oz gloves but this is rare. Equally rare is the employment of the extremely light 8oz glove. 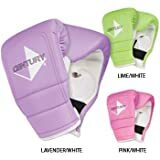 When women select boxing gloves, choosing female gloves will aid in procuring gloves that properly compliment the contour of the female bone structure of the hand. The gloves are also uniquely and ergonomically developed in order to achieve this goal. For many women, this aids in reducing the impact of striking trauma on the hand. This has the great advantage of reducing soreness which, in turn, allows a woman to avoid skipping classes. Even slight injuries can undermine a woman's ability to maintain an effective workout schedule. When your training is inconsistent, it will not deliver the type of results one would prefer. That is why it is best to use gloves that reduce potential minor tissue trauma. Why deal with such an issue when you do not have to? 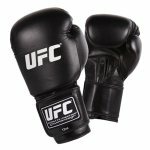 When selecting a pair of boxing gloves, it is best to stick with those gloves that are produced by a reliable, name manufacturer. You will want to stay away from "nickel and dime" boxing gloves produced for the retail market. Some excellent manufacturers produce poor quality cheap gloves for the retail market; stick with those gloves that are designed for pro training and not cardio work. 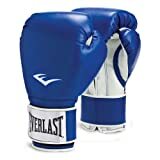 The top boxing gloves for boxing include Everlast, Ringside, and Title. Again, stick with their pro gloves and you will definitely make a solid purchase. Fighter Warehouse has the most pink gloves I have seen from top brands. If you like to fly the pink this is your store. 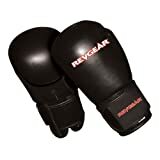 Revgear Sports Co. emerged when striking became integrated with MMA. Revgear gloves are outstanding, durable, and worth exploring. Century also produces some nice gloves as well. Century also produces solid gloves for more serious pursuits. You get good prices and fast shipping. 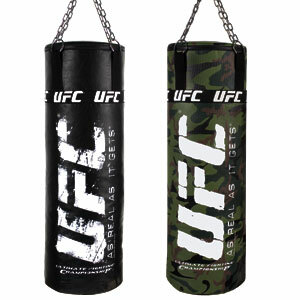 You can find gloves also at our MMA Store.